Set in a small group of individual, privately owned holiday homes, this pretty chalet-style beach house sleeps six. Appointed for a carefree seaside lifestyle, Driftwood has good sea views from private west-facing decking and is a very short stroll from Gwithian's stunning beach, wild sand dunes and the Cornish coast path. The Pebble is a luxury holiday retreat with sweeping sea views, offering boutique accommodation for up to 4 guests. It's ideally situated for Lusty Glaze, and Newquay's other superb beaches, and makes a great base from which to explore the north Cornish coast. Upper Tregudda is a stunning first floor apartment that sleeps eight guests. Spectacular views across the beach and cove of Port Gaverne can be enjoyed from the large balcony, as well as from the living areas and three bedrooms. Recommended in Sawday’s handpicked selection of ‘Special Places to Stay’, this apartment is perfect if you are seeking a show-stopping coastal retreat. This original fisherman’s cottage is arranged on two levels and set above a small craft pottery. The cottage sleeps four in comfort – big enough for a family, but small enough to be cosy for a couple. Ideally located just moments from stunning Porthmeor beach and the Tate gallery, and a short stroll from the picturesque town centre. Captain’s Rest is a beautifully presented apartment sleeping four. It has excellent views over the harbour and St Ives Bay, and is ideally located in a quiet and elegant street just a short stroll from Porthmeor beach, the Tate and Hepworth galleries, and the town centre with its many restaurants. Jasmine is a single-storey cottage enjoying open-plan living space, and is ideal for couples or smaller families. Sleeping three in spacious comfort, Jasmine is a home from home in peaceful surroundings. Contemporary beach chalet with stunning uninterrupted sea views sleeping four in style. Surfside is set right by Gwithian's amazing beaches and has direct access to wild sand dunes and the Cornish coast path. Marigold Cottage enjoys a spacious, bright and elegant open plan living space, with tasteful decor, furnishings and artworks. The cottage has a reverse level layout, and the bedrooms below are also lovely and bright, comfortably sleeping four with easy access to the enclosed communal garden. Sandlands is a classic Cornish beach chalet set in the heart of the beautiful and unspoiled area of Gwithian Towans in St Ives Bay. It provides comfortable accommodation for up to four guests, and is just yards from the stunning beach. This property is very family-friendly, and is also well equipped for guests with limited mobility. Rashleigh Cottage is a beautifully bright and spacious property with its own small private terrace area, enjoying sea views. Rashleigh sleeps six in comfortable surroundings, is dog friendly, and is a stone's throw away from the excellent village pub and pebbled beach. This beautifully renovated fisherman’s cottage sleeps four and is only available from July to September. With beamed ceilings and a private courtyard garden, it’s tucked away up a typically narrow and quiet side street overlooking the harbour in the heart of the picturesque fishing village of Newlyn. Mousehole, and great beaches, are minutes away. With a large decked area looking out over St Ives Bay, this chalet-style beach house sleeps five. It's set in a small group of individual, privately owned holiday homes and is well equipped for a coastal living. Sauveterre Anglais is a very short stroll from Gwithian's stunning beach, wild sand dunes and the Cornish coast path. Sea Breeze offers unusually spacious and luxurious accommodation in Bredon Court, which is highly desirable and very well located close to iconic Fistral beach in Newquay. The apartment comfortably sleeps five, with a sofa bed offering extra capacity. The Gem is a luxury bolt-hole for two, tucked away on Pentire headland in North Cornwall. It has mesmerising views of the river Gannel and the open sea beyond. 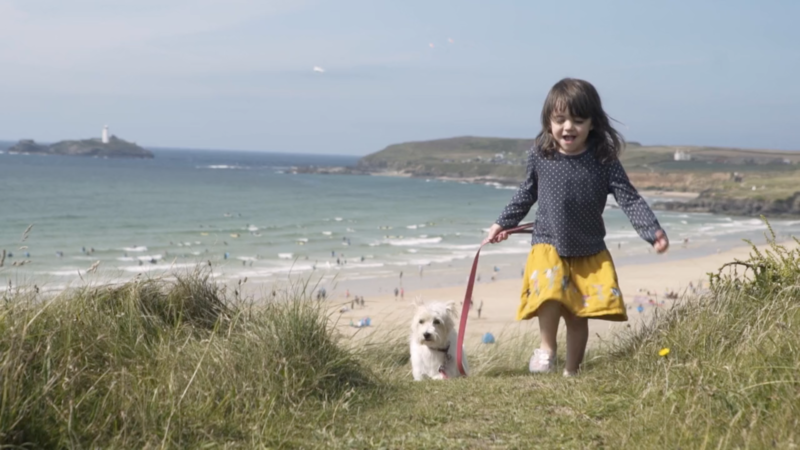 You will be able to stroll across to beautiful Crantock beach, or take advantage of the coastal walks and excellent restaurants in the area. Ultramarine is a luxury holiday apartment with sweeping sea views at One Lusty Glaze, an exclusive new development on Cornwall's north coast. It offers flexible accommodation for six guests and one baby; making it big enough for a family but cosy enough for a couple, and is just a short stroll from several of Newquay's fabulous family friendly beaches. Gwithian House is, quite simply, cool! A 10 minute walk from the fabulous Gwithian and Godrevy beaches, this fantastic home sleeps up to eight guests and is the perfect space for families and large groups to relax and unwind. Readily equipped with everything the active family needs on holiday, this newly refurbished property ticks all the boxes for an excellent place to stay. This beautiful apartment is set in a historic castle and boasts sweeping panoramic views over Mount’s Bay. You have immediate access to miles of coastal path, and a choice of great beaches. North Wing offers accommodation for 4, but is not too big to make a delightful bolt-hole for two. Sleeping eight in comfort, Polvenna welcomes you with its relaxed seaside atmosphere. You’ll be able to walk down the coastal path to the wonderful beach at Porthtowan, and enjoy barbecues with the most amazing views towards Godrevy lighthouse in the distance. This cottage is set on the edge of St Ives, so you can follow footpaths into countryside, or stroll to the town centre. Tregenna Cottage has lots of homely touches that bring the place to life and make it so unique. Outside is a large garden with a swing seat and outdoor furniture to soak up the sun. Thrift Cottage is small but perfectly formed, making it the ideal retreat for a romantic getaway. Thrift sleeps two in cosy surroundings, and comes complete with a well stocked kitchen, and an open plan living space with views out onto the bright courtyard. Artist's Retreat sleeps six and commands an elevated position between Mousehole and Newlyn, with sweeping sea views towards St Michael's Mount across the bay. It oozes character, is set in a lush sub-tropical garden and has an inspiring artist's studio that you can use. The Pearl offers comfortable family accommodation for four, or a lovely romantic bolt-hole for two. It's a contemporary holiday apartment with stunning and uninterrupted views of the Atlantic from all living rooms and from its good-sized private balcony. You'll be a short stroll from Fistral, the UK’s most iconic surfing beach. A contemporary beach house set in a small group of individual, privately owned holiday homes, and just footsteps from one of Cornwall's best beaches. The retreat sleeps eight and has a comfy open-plan kitchen and living area. Rockpools provides you with the space to kick back and relax, or can be the launch-pad for an activity-packed holiday. This stunning holiday home sits high above Mawgan Porth beach and is perfectly placed to watch the sun set over the North Coast. Fourburrows sleeps up to 10 guests, and is wonderfully equipped to accommodate families, both large and small. Courtyard Cottage sleeps four guests in comfort, and like all of our Port Gaverne cottages welcomes dogs. The open plan living, kitchen and dining area has stripped pine floors and a cosy wood burner. Both bedrooms are airy and full of natural light and there is a lovely shared enclosed garden, a fantastic nearby pub, and miles of walking to be had. Torca Cottage is a cosy space of grand proportions sleeping four guests. Its open vaulted ceilings, original sloping wooden floors and wood burning stove add to its lovely character. Two coastal-chic bedrooms are downstairs, whilst the upstairs is dedicated to light, airy open-plan living. The beach is a skip away, and there is a lovely shared and enclosed garden for you to enjoy. A fabulous holiday home, The View in Marazion sleeps up to 11 guests in comfort and style. Six spacious bedrooms and two generous living areas make this home perfect for two families to share and socialise in, and the views across Mount's Bay and over to St Michael's Mount are unbeatable. Lower Tregudda is a stunning ground floor apartment with gorgeous sea views. The property sleeps up to eight guests in style, with a contemporary kitchen and spacious living areas. Recommended in Sawday’s handpicked selection of ‘Special Places to Stay’, this apartment is ideal for a large family or friendship group. This fabulous family-friendly holiday home is set amongst an exclusive group of brand new properties in Holywell Bay. It offers contemporary living across three floors, with fantastic views out to sea from the 'penthouse' bedroom. Samphire sleeps up to eight guests in four spacious and tastefully decorated bedrooms, and welcomes dogs. Created for easygoing surf-style holidays, Surf Six sleeps up to 10. The fabulous beaches of Gwithian and Godrevy are right on the doorstep, with enticing surf, beguiling rockpools and miles of sand. And with coastal walks and cool cafes to hand as well, Surf Six makes the perfect show-stopping retreat. Understandably one of the most popular cottages in our collection, Venus sleeps four in spacious and bright surroundings. Here you can enjoy beautiful sea views from the first floor living area and private balcony. Venus Cottage offers a classic self-catering holiday on the 'Doc Martin' coast. This traditional chalet-style beach house sleeps eight and is set in a small group of individual, privately owned holiday homes. With an easygoing feel, it has good sea views from private west-facing decking and is a very short stroll from Gwithian's stunning beach as well as miles of wild sand dunes, and the Cornish coast path. This apartment for two makes the perfect Cornish bolthole for surfing, romance — or simply exploring the area. It’s in the front row of beachside properties at Gwithian Towans and has uninterrupted views of St Ives Bay from its sunny terrace. Newly renovated in 2015, this traditional chalet-style beach house sleeps four and is big enough for a family, but small enough to be cosy for a couple. With private garden and set in a group of individual, privately owned holiday homes, you'll have direct access to Gwithian's stunning beach, wild sand dunes and the Cornish coast path. Rose Cottage is a cosy ground-floor property that comfortably sleeps four, and enjoys a lovely south-facing garden that borders a small stream, as well as access to an enclosed communal garden. A stone's-throw away from the beach, Rose Cottage is perfectly placed to enjoy the charm of Port Gaverne. St Clement's House is a delightful, grade II listed Georgian home, situated in a cobbled street just moments from the beautiful harbour of Mousehole. This charming property is divided into three storeys and exudes townhouse elegance whilst retaining a rustic and homely feel. Unique beach houses, chic harbourside apartments and cottages by the sea, hand-picked for people who like nice things.